Want to snacks and food online? 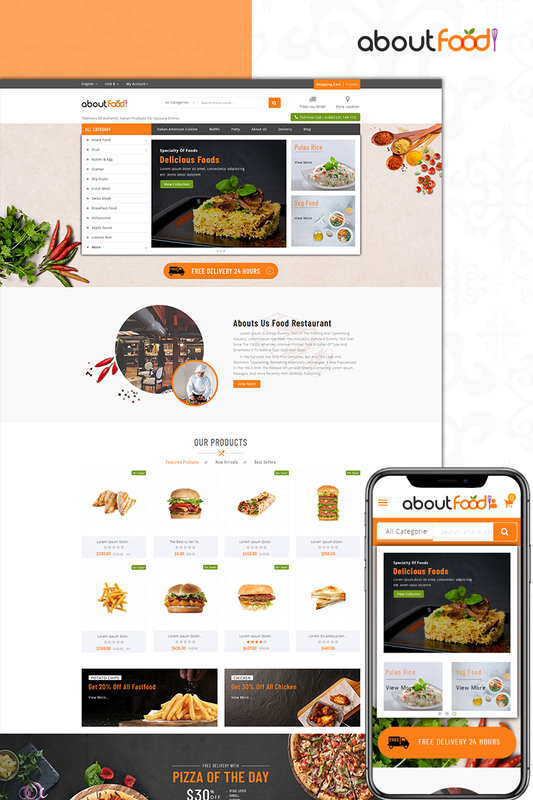 AboutFood - Food Store is the best eCommerce website template for you. With its cheerful and attractive design, easy to use interface and fast load time, this theme would leave your customers impressed and satisfied.